Richard Cortez at Lark Community Center on Tuesday Nov.6, 2018, in McAllen. 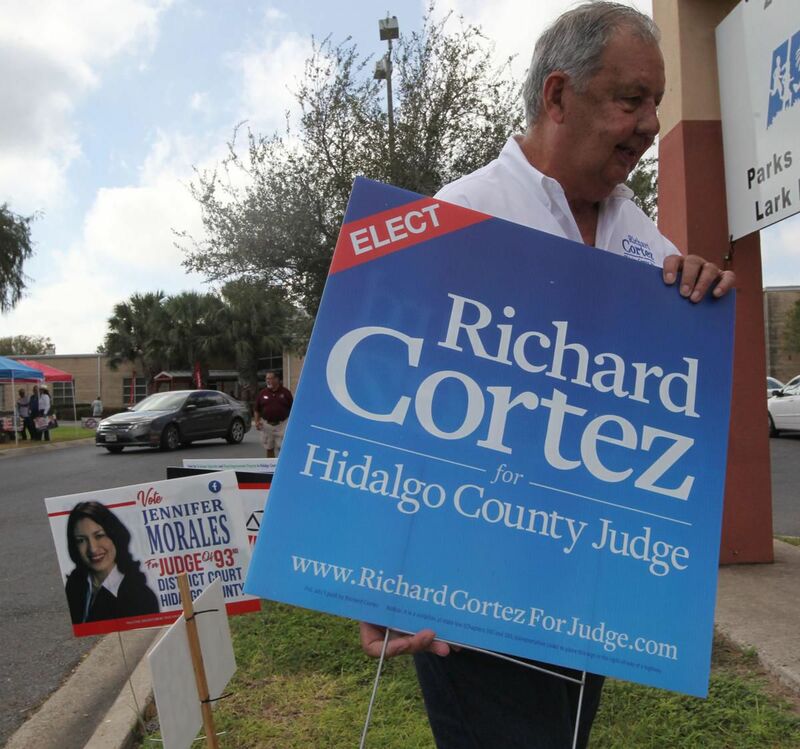 Democratic nominee Richard Cortez will likely become the next Hidalgo County Judge if the early voting tally is any indication. Early voting results released Thursday shows the Democrat outpacing Republican nominee Jane Cross by more than 47,000 early votes. Cortez, who stepped down from his post as McAllen commissioner to run for the county’s highest elective seat, obtained 78,898 early votes, or 71 percent of the votes cast during the early voting period, according to unofficial results released by the Hidalgo County Elections office. Cross, a real estate businesswoman, obtained 31,564 early votes or 29 percent of the votes cast during the two-week period. The figures for both candidates do not include votes cast today, during Election Day, and are considered unofficial until the last count Nov. 14.